Apple has released macOS® Mojave (version 10.14). 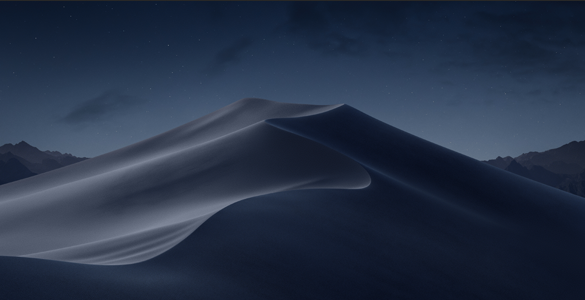 MOTU has worked with Apple to ensure current MOTU products are compatible with macOS Mojave, and to provide a smooth transition for your MOTU products when you upgrade to macOS Mojave. Current versions of all MOTU software products and hardware drivers available at motu.com/download (latest versions) appear to be compatible with Mojave, although final compatibility testing is still on-going. In some cases, MOTU software updates may be available soon to achieve 100% compatibility. Check this web page for further announcements in the near future, if any. As always, if you have any questions, please contact MOTU customer service or technical support. If you are installing MOTU hardware drivers on your Mojave system for the first time, please read this tech note for important information about enabling the driver in your system's security settings. This procedure is not necessary if the driver has already been installed in your Mojave system and you are merely updating it. Apple has released an important macOS update (10.14.4) that improves the reliability of USB audio devices when used with MacBook Air, MacBook Pro and Mac mini models introduced in 2018. This update is recommended for all MOTU USB audio device users. If you own a MicroBook Iic, be sure to install the latest MicroBook IIc firmware update here for 100% USB audio class compliant compatibility with Mojave. If you own one of the pro audio models listed below, be sure to download and install the very latest shipping drivers. You must install these latest drivers before you can use your MOTU product listed below with Mojave. If you own one of the USB-equipped MOTU audio or MIDI interfaces listed below, be sure to download and install the very latest shipping drivers. You must install these latest drivers before you can use your MOTU product listed below with Mojave. There are reports of incompatibilities with some third-party audio plug-ins. If you are experiencing issues running Digital Performer or AudioDesk in Mojave, try disabling all third-party plug-ins (safe mode).